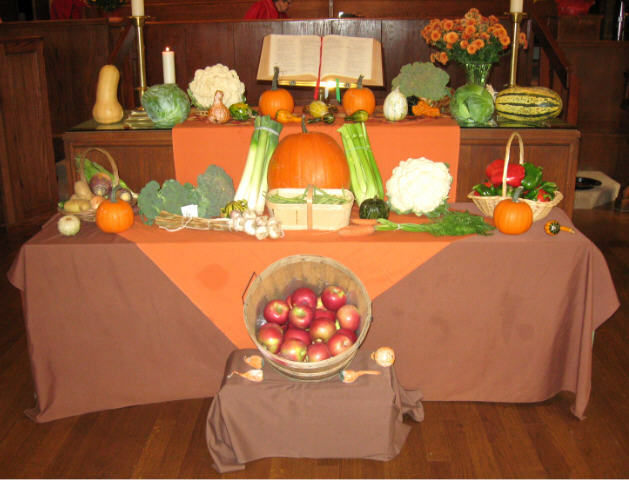 For Thangsgiving Sunday, Oct. 10, 2010, the Summerlea chancel was decorated with harvest products, thanks to Ann Cockhill and others. The products were destined for use by Meals on Wheels, for Tuesday lunch. 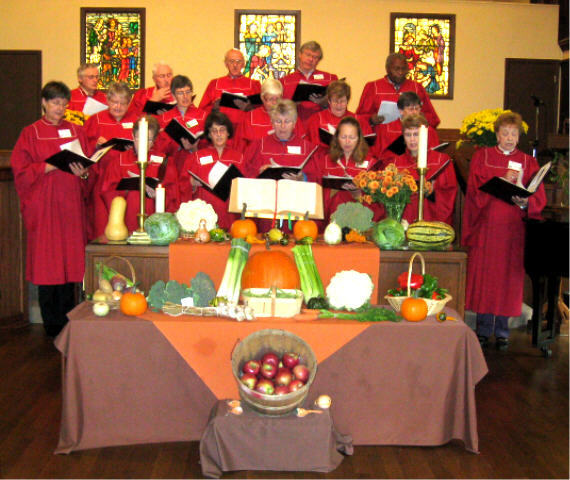 Following is a shot of the Communion table, and one with the choir.